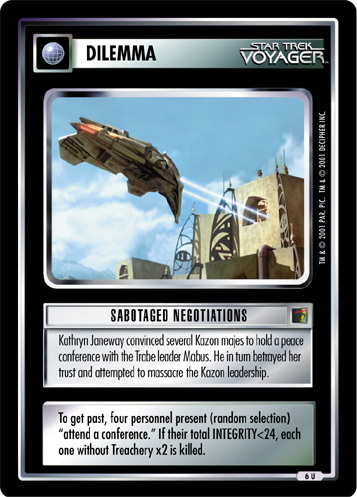 Kathryn Janeway convinced several Kazon majes to hold a peace conference with the Trabe leader Mabus. 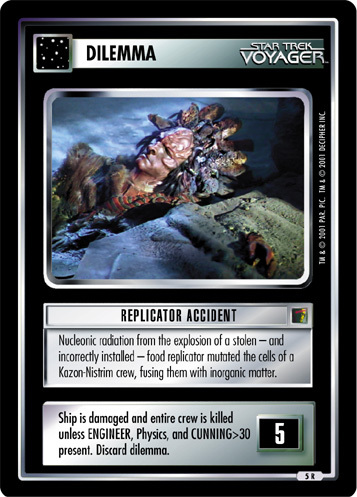 He in turn betrayed her trust and attempted to massacre the Kazon leadership. To get past, four personnel present (random selection) "attend a conference." 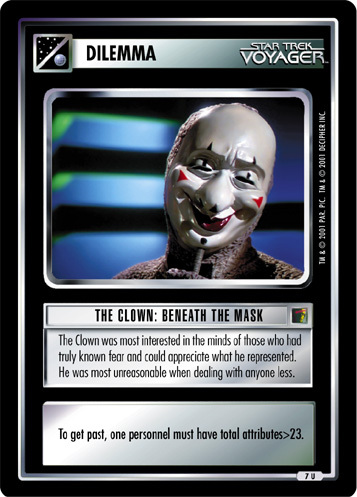 If their total INTEGRITY<24, each one without Treachery x2 is killed.